TREND ALERT: HAIR COLOR, THE SAFER WAY! Like seasons, what if our hair changed color too? Don’t we love seeing color all around us? Colors make us happy. I love my Instafeed when I am in the brightest of hues. What about my hair, you ask? They have been the only color-constant in my life perhaps. Jet black. It was way back in 2004 when I was an engineering student living the hostel life away from home. You know that punk-rock influence in teenage years? I was wanting to color my bangs red. Then I stumbled upon a hair dye in burgundy. I colored those strands. They shone fiery red in the sun and I felt accomplished within. I got some compliments, but the smelly experience wasn’t a welcome.That was it! I never went back to color, I thought it was unsafe and unnecessary… But I was wrong. Almost a decade later, I see the sudden trend reports that continuously predict not just hairstyle trends but hair-color trends. The formulas have undergone change. 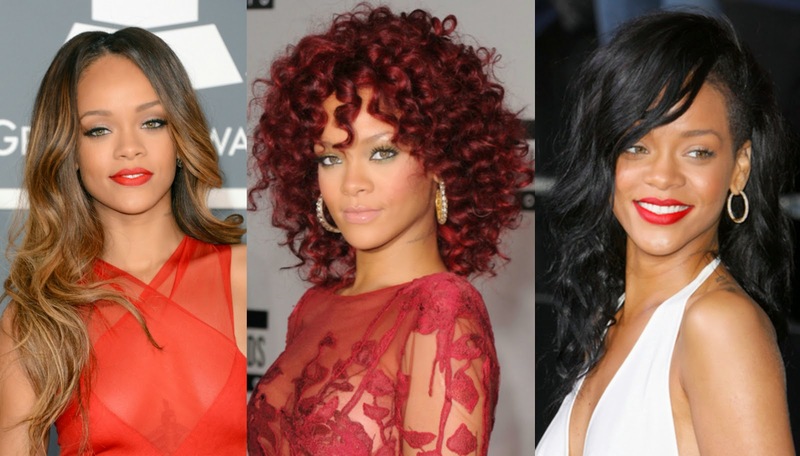 The hair-coloring phenomenon is not just restricted to getting a different shade, but a healthier, glossier mane! Companies claim success. Consumers agree. The hair is no longer dry with Ammonia-free treatments. They infact become shinier and bounce with health. What do you think of these beauties. Isn't hair color a defining moment for each of them? I got the most expensive hair color back in 2006 and hated what it did to my hair texture!